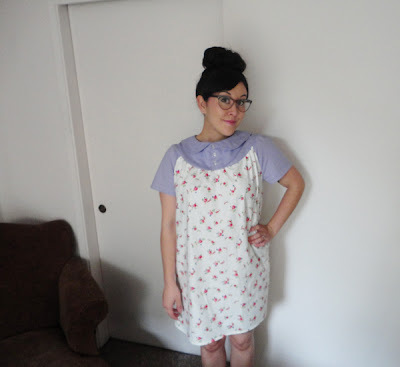 Over the weekend I finished sewing my Chelsea wearable muslin. I really wanted to take photos, but the weather was rainy, so my photo location spots were limited. Plus, the lighting was super weird, which is why these photos aren't the greatest, so forgive me. Anyways, I know I already said it, but I LOVE this pattern! For the most part it was so easy to sew together. The only thing that challenged me were the buttonholes, as they were a new skill for me to learn. If you already know how to sew buttonholes, then you will fly through this pattern! The directions were VERY clear and there was not one point where I felt confused. Literally every single pattern I have ever sewn has required a zipper or darts. This pattern did not require either, which was refreshing. I'm used to wearing more form fitting clothes, so the way this dress fits is new to me. It's so comfy and I love it!!! Buttonholes!!!! Thank you so much to everyone that responded to my last post and gave me advice on sewing these guys. 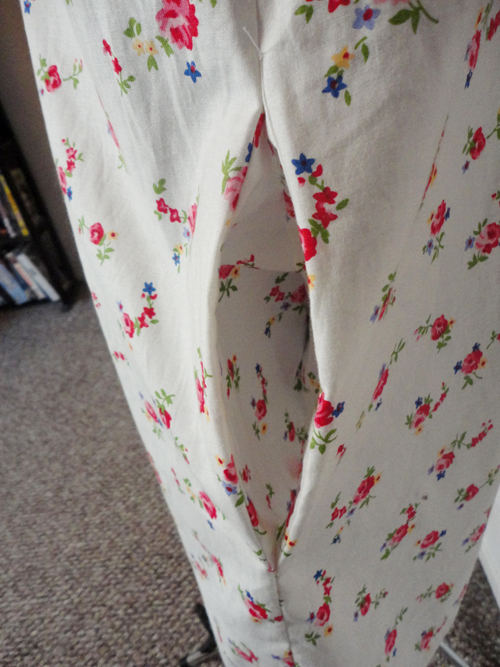 I practiced until I felt confident enough to sew them on my muslin. When I finished I was so proud and happy to have learned a new technique. I truly could not have done it without your help! Just a tip for anyone that is planning to sew this: make a muslin. 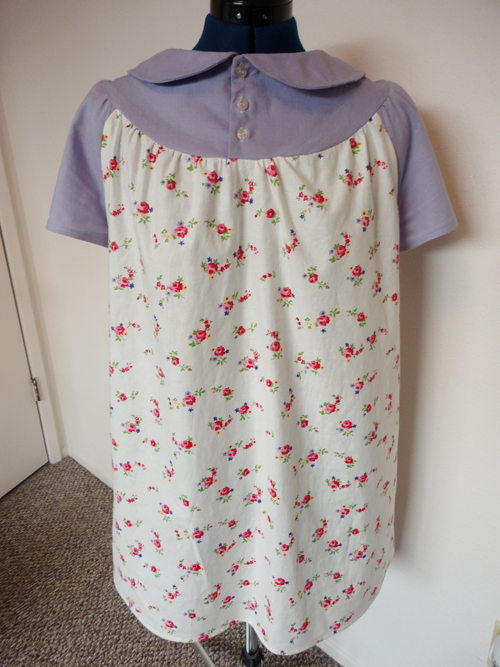 First I made one out of actual muslin material and planned on just sewing up the sides to check the fit. 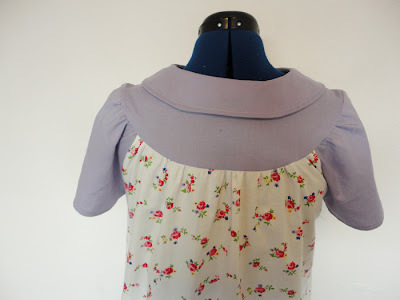 Well, that didn't work too well because of how the yoke attaches to the front and back of the dress. I made the rest of the dress (yoke, collar, sleeves) with the muslin fabric and was so happy that I did. The dress ended up being huge! 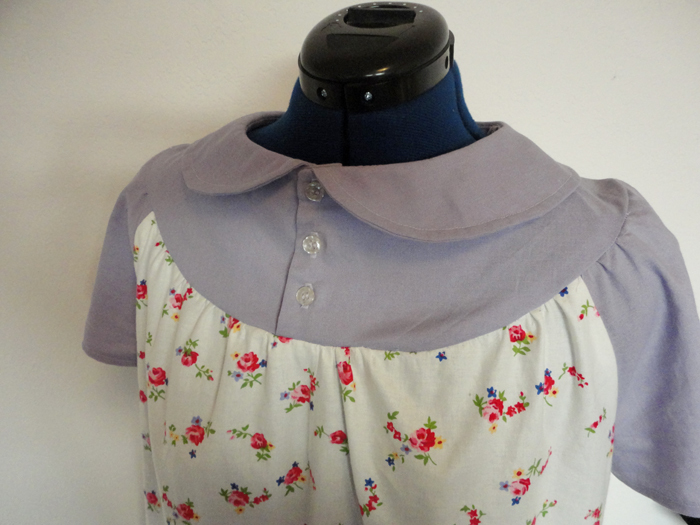 I retraced the pattern two sizes smaller and then cut into this pretty wearable muslin fabric. Now the fit is great! 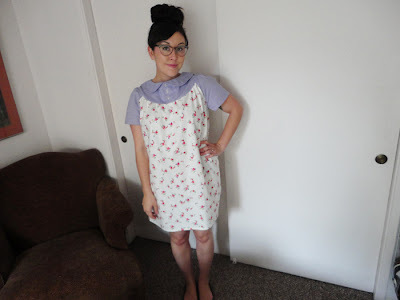 All I need to do is add a few inches in length when I make the final dress, as the muslin is pretty short on me. Throw ya paws up if you like this pattern! So proud of you and your buttonholes!! 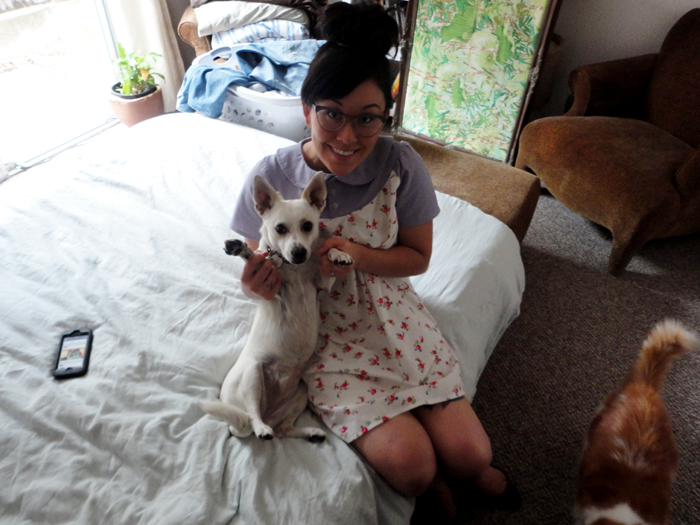 :D The dress is darling on you. Love the pic of you and Frankie. This dress is adorable!! And this is a muslin!? Awesome! Can't wait to see the final version! Sooooo cute!!! I want to make one! Cute! Good job on the buttonholes. Yay for learning new techniques! I can't believe these are your first buttonholes! Glad you were able to add a new skill to your repertoire. And, you got a cute dress out of it! I love it! I love the way you combined the fabrics. So cute! I haven't been interested in this pattern before, but seeing your two versions makes me want it! Great job on both dresses you look fab in them!